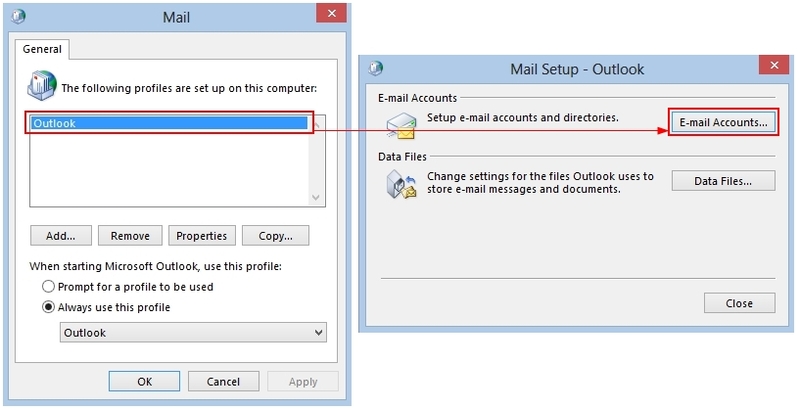 Go to your Outlook mail settings from Start > Control Panel > Mail > Show Profiles. If you cannot find the Mail icon in Control Panel, please change the "View by" in the top right to Small or Large Icons. Double-click on your Exchange profile and then click Email Accounts. 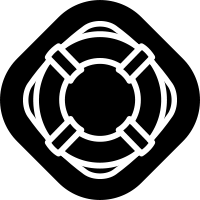 Fill out Your Name, E-mail Address, and the Password fields. Click Next. Do not check any of the options such as "Manual setup". 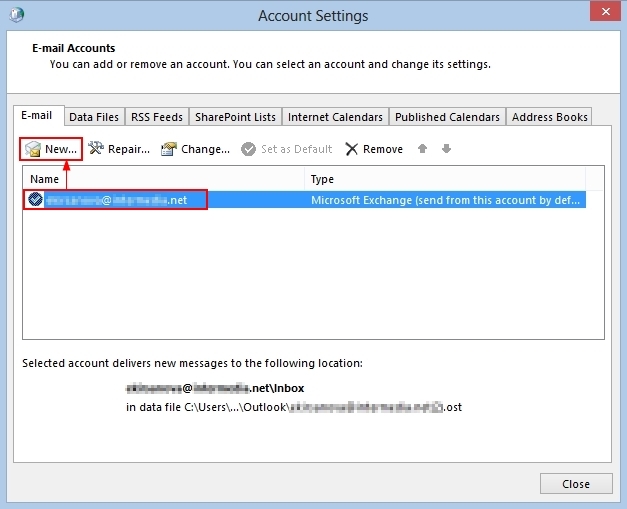 Outlook will try to autoconfigure the new account. You may get a pop-up window asking if you Allow. Check the box to always allow and accept. Finish the wizard and you are done! Close out of any open windows by selecting "OK" or "Finish".